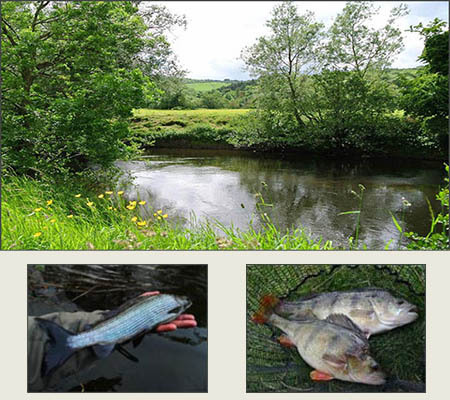 Matlock Angling Club, offers diverse coarse and game fishing in the picturesque setting of the Derbyshire Dales. join now! The club controls miles of the upper stretches of the River Derwent. Fishing is available for wild brown trout and grayling a growing population of hard fighting barbel, chub, perch, dace and roach. join now! The club also manages a number of ponds and a section of nearby Erewash Canal, offering a variety of accessible pleasure angling opportunities in well stocked waters.join now! Matlock Angling Club controls a number of stillwaters, varied beats of the River Derwent and a length of the Erewash Canal. Matlock Angling Club has an active match section at both local and national level, all events are open to all Club anglers. View some of the venues and members catches from our club waters. Welcome to the Matlock Angling Club Website. Matlock Angling Club is a small, affordable, accessible Club of approximately 300 members with fishing venues on local ponds, canals and lengthy stretches of the River Derwent. The club offers a variety of fishing opportunities including pleasure angling, match fishing, fly fishing for trout and grayling and specimen hunting. All our waters are well maintained by our members and regularly bailiffed. The Club is proactive and dedicated to its on-going improvement programme whilst at the same time keen to maintain the picturesque qualities of our waters here in the Derbyshire Dales. Matlock Angling Club has an active match section at both local and national level and a thriving Junior development programme. Matlock Angling Club is proud to be associated with PCFWW a group of Derbyshire Fly and Coarse Fishing Clubs, who collectively protect fishing venues from illegal wildlife crime for the future generations of anglers.